BlackBerry has been improving homes in Kalamazoo, Grand Rapids and beyond for 38 years. Our West Michigan service area (which includes Battle Creek and St. Joseph), stretches from Lake Michigan to Albion, and from north of Grand Rapids to the Indiana line. We have over 20,625 satisfied customers since 1980. 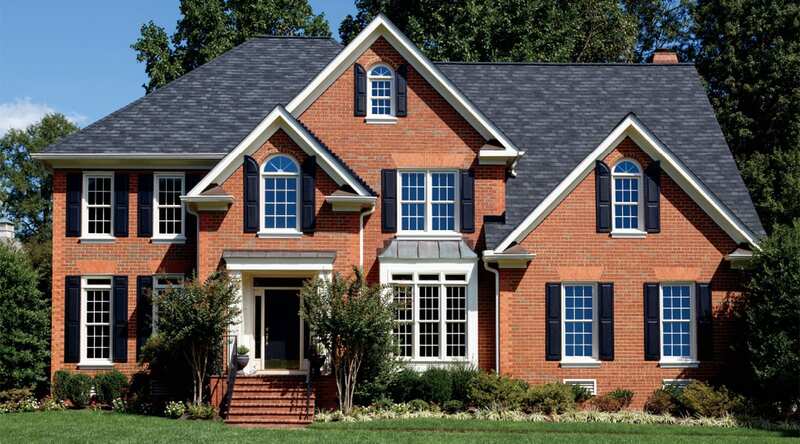 We strive for excellence with every customer, providing the best quality home improvements and installation with Replacement Windows, Patio Doors, Entry Doors, Vinyl Siding, Decking, Roofing and Sunrooms. BlackBerry’s direct buying power gives you the assurance of the best price for the best products. Our factory certified installers make sure every job is completely installed to our manufacturer’s standards. 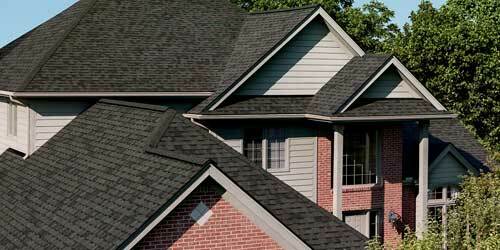 All this has made BlackBerry the West Michigan Leader in Exterior Home Improvements. You don’t have to take our word; the Better Business Bureau has given us an A+ rating, and Angies List has recognized BlackBerry with the 2011, 2012, 2013 and 2014 Super Service Awards! BlackBerry’s greatest pride is our “Excellent Rating” from over 95% of our Kalamazoo, Grand Rapids and other West Michigan customers for completed work; this along with the fact that over 60% of our customers each year are “repeat” or “referral.” We love our work and customers; and since 1980 we strive to improve each day! We felt that BlackBerry would stand behind their work and resolve any issues that might arise in a professional and time manner. I’m amazed how quickly the job was done, really excellent workmanship. Installers were great; friendly, clean and courteous. They accommodated my lunch hour, stopped work in the backyard so my dog could go out. One very happy and satisfied customer. I love the windows! The house is quieter and warmer and looks much better. My garden window is just amazing and my kitchen is brighter by far. The installers were so nice and knowledgeable and fast. Connor and I were impressed by their efficiency. Thanks so much for a job well done! We chose BlackBerry because of their great reputation and reasonable prices. I love my new windows! It is so nice to be able to open and close my windows after not being able to for so many years. I am thrilled with the work the guys did. I tell everyone how happy we are with BlackBerry. Thank you — our house looks great. Your installation crew worked so hard and they were very nice to have around. The salesperson was knowledgeable and there was no pressure. BlackBerry provides a good product at a reasonable price. The installers did a great job, staying until 8:00 p.m., working in the dark to finish. They made sure to do a great job and complete the work by the end of the day. I would highly recommend BlackBerry! BlackBerry did a perfect job; above and beyond my expectations. Even my neighbors comments on what a great job they did. The two gentlemen who installed our windows were very nice and really knew what they were doing. They worked hard and did a really good job. Everyone at BlackBerry demonstrated a high level of integrity. I continue to refer BlackBerry to friends and family. Our installers were great — courteous and respectful.! We own a 100+ year-old house and BlackBerry took extra care and used innovative ideas to side our house in keeping with the era of the home. From the first moment we started working with BlackBerry Systems, we knew we had made the right decision to have them install our sunroom. The salesperson was very knowledgeable and polite. The installers started on time and finished when promised. They were also very considerate with our existing landscape and left our home in perfect shape. We are very pleased to say the least. The crew who worked on my house were just wonderful people and did an excellent job. Very professional. Thank you so much. Very smooth process from start to finish. Friendly salesperson and installers. I will highly recommend BlackBerry Systems to friends and family. We were very impressed with BlackBerry Systems. They knew exactly what to do and how to do it to rectify our problem. Their workmanship and attention to detail were outstanding. I would recommend BlackBerry to anyone and we are VERY pleased with our choice of BlackBerry for our solution. We had our house and a two-stall outbuilding reroofed by BlackBerry. The crew worked very hard and left the surroundings clean and orderly each evening. We were especially impressed with the extra steps the crew took to minimize the damage to our lawn. The project was completed very efficiently with minimal disruption to our family. We will certainly contact them again on our future remodeling projects. Thank you, BlackBerry, for the efficient and professional way you installed our 33 replacement windows! There was no mess and all of your people were a joy to have at our house. The windows look so nice and work great! Thanks again! We were referred to BlackBerry Systems by a friend. 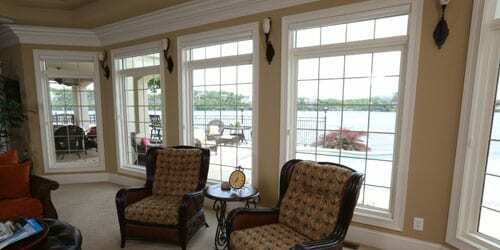 We visited the showroom and saw firsthand the quality of your windows. The unexpected bonus was the first-rate installation, service and follow-up throughout the process that will lead me to refer BlackBerry to our friends. Thanks again for appreciating your customers. We chose BlackBerry Systems because our friends had a good experience with BlackBerry. They built a new sunroom for us, and installed new siding, roofing, and windows. The workers were professional, polite and cleaned up the worksite when they were done. Thanks to everyone at BlackBerry Systems for a great job. We are thrilled with the new look, energy efficiency, and easy clean feature of our new windows; we should have bought all new windows years ago! Thank you BlackBerry. We had BlackBerry Systems install replacement windows for our home. Delivery of the windows was right on time; and the installation crew was courteous and clean. Within two days we had new windows installed in our home for a very competitive price and the quality we wanted! No more drafts and our energy bills have been reduced. Thank you! We were so happy with the expertise and professionalism of the installers. No detail was overlooked. They were friendly, helpful and extremely careful. When they left, everything was clean, including our new windows. Just a note of thanks to all the professional people who work at BlackBerry Systems! Your craftsmanship and professional attitude was excellent and consistent through the completion of our vinyl siding and new patio enclosure addition on our home. They’re wonderful. Thank you!